Since the time of the ancient Greek and Roman orators like Demosthenes and Cicero, public speaking has become an important part of our everyday lives. Crowds were moved to tears by President Obama’s “Yes We Can” speech and thousands of lives were changed by motivational guru Anthony Robbins’ high-energy seminars. Millions more gasped in wonder when Steve Jobs unveiled Apple’s latest inventions through his exciting product presentations. No matter where we are, we are exposed to public speaking in one form or another. But are public speaking skills relevant in today’s workplace? Ms Kate Lorenz of Careerbuilder.com listed the Top Ten Most Common Soft Skills that employers look for and assess a candidate on. Among this non-exhaustive list included a strong work ethic, a positive attitude, adaptability and good communication skills. Ms Lorenz defined good communication skills as having the ability to be verbally articulate and “make your case and express your needs in a way that builds bridges with colleagues, customers and vendors”. This statement validates the continuing need to stand out from your peers at work by building your presentation or public speaking skills. How else can you effectively “build bridges” with people at work if you cannot communicate a single message to them instantly? It is also interesting to note that a number of companies are using presentations to gauge a candidate’s professional and emotional competence during job interviews. Even in the local context, public speaking is evolving into a skill set that can set you apart from others and get you further ahead in life. If you are more articulate than your colleagues, all other things being equal, that will stand you in good stead for a promotion. If you desire to be an inspirational manager, what you say can move your subordinates to work with you to achieve organisational goals. If you dream of wielding influence in the corporate arena and beyond, your speeches will have to achieve their desired impact. It is rare for someone who is absolutely bereft of charisma to rise to the upper echelons of the corporate ladder. From my own experience as a trainer, it is worrying to note that some Singaporean bosses associate public speaking with something negative. Is it because of the Asian culture that encourages us to “speak” less and “do” more? If so, then why do so many people look up to bosses who are effective and inspirational communicators and criticise those who are regarded as “traditional” and silent? About two years ago, I was invited, as part of a team, to present a short teambuilding session for a large automobile dealer. It was an annual kick-off event for the staff, and since the director has just taken over the reins from his predecessor, he was impelled to deliver an opening address. The whole presentation was simply mesmerising. To motivate his people, this young inspiring director rallied his “troops” to stick together during uncertain economic times and help the company to become a leader in its market segment. By using a hand gesture that represented “No. 1” throughout his speech, he was able to create a powerful visual symbol that made his presentation stick in his audience’s hearts and minds. But his coup de grace was the accompanying video clips that he borrowed from the movie “300”, a retelling of a famous battle between the ancient Spartans and Persians. These scenes sent a strong statement to the employees — that the company was going to triumph over its competitors against overwhelming odds. The crowd gave the new director a standing ovation. A year later, the company reclaimed the top spot in its industry. Even in the area of sales, an effective presentation can help to improve the bottom line faster and more efficiently. Your choice of words, key message positioning and communication length all have a significant impact on the sale. Gone are the days of “if we build it, they will come”. A key component of successful companies is a persuasive sales force that can set itself and the company’s product apart from its competitors. 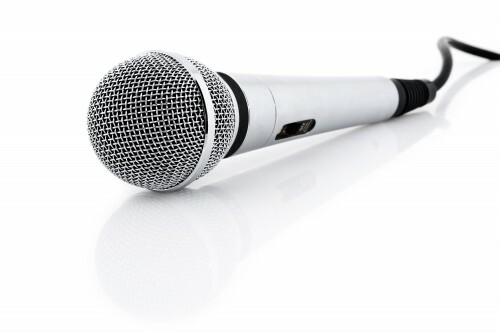 Being an effective public speaker or presenter can reap potential benefits in the workplace. From giving you a better chance at landing your dream job to securing a lucrative business deal, making an impressive presentation at every opportunity could be your ticket to corporate success.